I was recently invited to write a counter-point essay for CBC, following my participant in the CBC.Docs documentary that premiered in January 2018 on Canadian television. 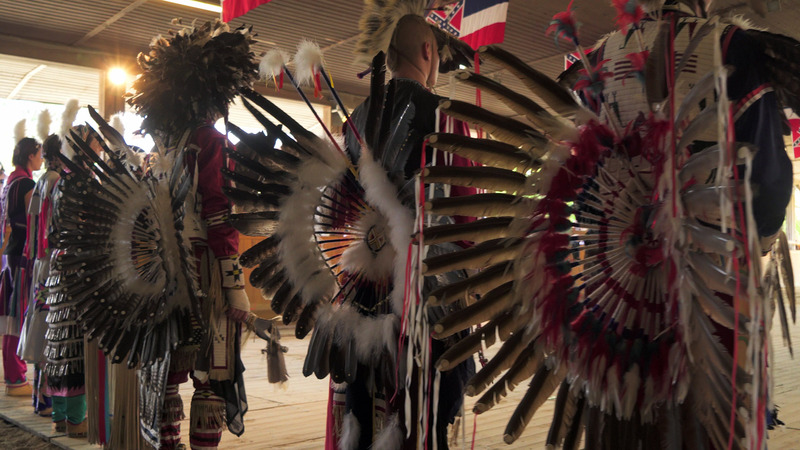 Last July in Berlin, I sat down with indigenous writer Drew Hayden Taylor on his search to understand why so many Germans choose to appropriate native cultures and/or dressing up and pretending to be “Indians”. The article was published on January 26th, ‘Native Hobbyism’ is Modern Day Colonialism. and specifically discusses how the effects of such practices, especially on Natives living in Germany, are overlooked by both non-natives and natives, which we explore in our own documentary, “Forget Winnetou”, which premiered in Germany in February 2018. 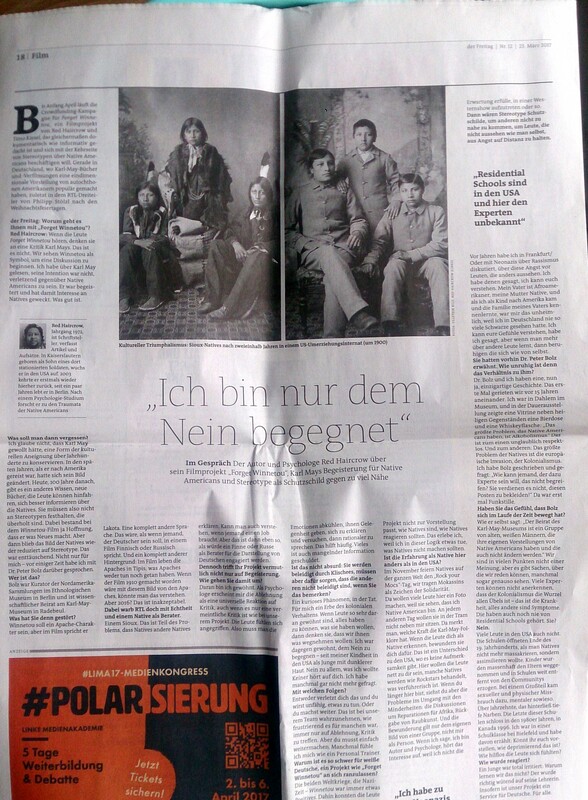 In Der Freitag’s print edition, on our upcoming documentary Forget Winnetou! Going Beyond Native Stereotypes in Germany, historical context and how the USA’s deliberate “alternative facts” or Eurocentric fabrication of history contributes to continuing racism, colonialism and oppression of Native Americans. Stereotypes are a symptom of the overall disease. Interview and article by Matthias Dell. Our crowdfunding campaign is in its last days, please help us reach our goal and bring this important project to a wider audience, in its best possible form! At IndieGoGo. “Don’t Let the Sun Step Over You“, the collected stories by Eva Tulene Watt assisted by Keith Basso made me write my mother and say, “Tell me a story”…and she did. She did, and it was good! If you’ve read the work, you’ll know why I add emphasis just so in the previous sentence. And why I wanted to hear from my mother about our people, our cousins, our family, about the past that touches the present and the future. The stories she was told or the things she observed. I hear my ggrandmother’s voice again, and the stories she told and tried to tell us even when we weren’t listening, only halfway or transfixed cause they seemed light, even funny, but were deep. Stories when she was cooking or cleaning or working or chasing us (me!) with a switch when I had done something she directly told me not to do but I did it anyway because I was stubborn and/or curious.